Nearly every part of the human body can be impacted by cancer, especially specific organs or systems. Once such area is the mechanism of the blood that distributes oxygen and nutrients throughout the body while carrying away waste products. When this system goes awry, there can be numerous effects on the individual, some of which can be life threatening. Leukemia is basically a type of blood cancer that can strike individuals at any age. It may be life threatening if it cannot be successfully treated so that the individual’s cancer will be in remission. One of the difficulties with leukemia is that there are many different kinds, which respond to different types of treatment. Additionally, the source, development, and origin theories associated with leukemia vary widely. This is likely to be the case since the functions and purposes of the blood system are extremely complicated. The purpose of this paper is to examine issues such as etiology, pathogenesis, morphology and clinical significance. 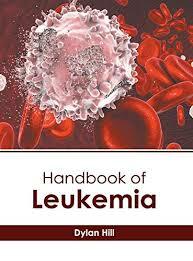 The etiology of leukemia varies due to the kind and to the specific symptoms of an individual. For example, some children develop a form of leukemia referred to as childhood acute lymphoblastic leukemia . Some believes that this disorder begins when the child is in utero, resulting from an infection. Research demonstrates that the suspected JC virus is not typically present in children who eventually develop acute lymphoblastic leukemia. However, these researchers cannot rule out the presence of an infection residing in the kidneys that is latent as the cause of acute lymphoblastic leukemia. This may result in low levels of some type of virus circulating in the blood system in children at birth. An Author researched the etiology of B-cell chronic lymphocytic leukemia. He studied non-affected family members to see if they had the same abnormality of DNA as those individuals with B-cell chronic lymphocytic leukemia. Results indicated that these individuals did not contain the same material as the infected family members, but the non-infected family members did have unusual features of DNA that may predict future illness of B-cell chronic lymphocytic leukemia. This suggests that that there may be a genetic link in developing certain forms of leukemia. Morphology research papers discuss the critical subfield of contemporary linguistics that involves the study of the internal structure of words. Pathophysiology Ovarian Cancer - Pathophysiology of Ovarian Cancer research papers discuss the known reasons of this cancer such as mutation or deletion of genes. Anatomy Physiology - Anatomy and Physiology research writing discusses the two branches in the medical science field. Neuroblastoma in Children - Neuroblastoma in Children Research Papers examine the epidemiology of this disease. Signs and Symptoms of Ovarian Cancer - Signs and Symptoms of Ovarian Cancer Research Papers explore this silent killer since there are no clear warning signs. Endocrine System - Endocrine System research papers study the various glands in the human body that secrete hormones directly into the blood stream. Neuroblastoma in Children Moreover - Neuroblastoma in Children Research Papers examine the epidemiology of this disease. Effects of Agent Orange include children born with birth defects, miscarriages, stillbirths, various types of cancer, respiratory problems, and digestive disorders. Common Types of Fractures Found in Children - Common Types of Fractures Found in Children Research Papers study the differences in adult fractures and childhood fractures, and the treatment needed for childhood fractures. Sickle Cell Anemia - Sickle Cell Anemia Research Papers look at one of the most common inherited blood disorders. Sjogren's Syndrome - Sjogren’s Syndrome research papers discuss the chronic autoimmune disorder that is characterized by the body’s white blood cells attacking and destroying the exocrine glands, specifically the salivary and lacrimal glands. Paper Masters writes custom research papers on Leukemia and provide research on this blood cancer and discus the symptoms.